• The Special Achievement Award was created in June 2013. It is given for significant achievements that are not already sufficiently covered by existing or future ILDA Award categories. It does not have to be given every year. For more details on the winners, download the 2013 ILDA Awards booklet (PDF format). The booklet lists all winners and includes a photo from each winning artwork, plus credits and a description of the work. Most First Place artistic winners, and a few Second Place winners, are available on YouTube. Click for a playlist of the 2013 ILDA Artistic Award winners. 3rd: "Pound Sign", Laser Show Design, Inc.
3rd: "Moscow - KOH-I-NOOR", KVANT Ltd.
2nd: "Eye On It", Peachtree Laser Inc.
2nd: "Universal Orlando New Years' Eve Show", Lighting Systems Design, Inc. Performed live, and judged by attendees, at the ILDA Conference's Lase-Off, November 5 2013 in Aalen, Germany. This new control board for Moncha.NET provides a perfect way to integrate a laser show controller directly inside a laser projector. All important hardware elements of laser projectors are now integrated into one small board, which can easily fit inside even small laser projectors. 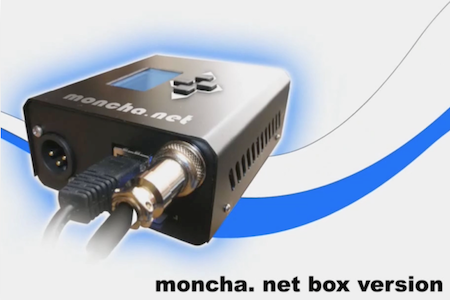 Moncha.NET board together with Display Board offers all important functions required by laser system producers: Ethernet/MDX/Standalone laser show controller with SD card, external ILDA, safety key, analog brightness, position and size control (for external ILDA as well). NetLase LC is a new Ethernet-based network interface to control output signals for a laser projector from show software running on a PC in real time. It supplies an ILDA-compatible connector and uses 100 MBit standard network connection for data transfer. It offers 12 bit X/Y plus six color channels at up to 70 pps output speed as well as DMX-In and Out. It uses an open API, so any Windows software can output laser shows through this device. It fits in most laser projectors, offers plug-and-play capabilities via DHCP/AutoIP and a web interface for advanced device setup. The Safety Radar was invented for the safe operation of open-air laser systems. It automatically detects targets such as aircraft or animals entering the area of the laser beam. It is connected to the interlock circuit of any laser and will shut down the system in case of target alarm. 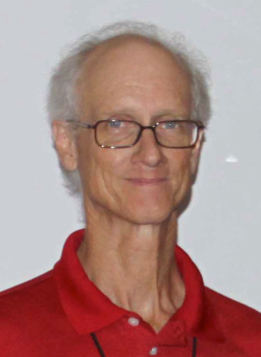 Timothy Walsh, Laser Spectacles Inc.
Tim is a Founding Member of ILDA, having attended the first organizational meeting in 1986 and being an ILDA Member continuously since that time. He served on ILDA’s Board of Directors from October 2006 to November 2011, and was elected ILDA President for four terms (March 2007 to November 2011). He has put substantial effort into the Awards Committee throughout ILDA’s history, and has been chair of the Awards Committee since the mid-2000’s. 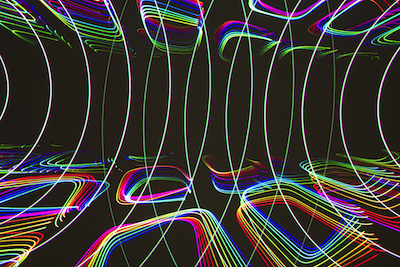 One of his primary efforts was to bring more live lasers to the ILDA Awards Presentation. Last year, he served as host of the successful 2012 ILDA Conference in San Antonio, and he did this as one of the very few sole-proprietor companies to have run an ILDA Conference. For his long and distinguished service to ILDA, Tim Walsh is presented with the 2013 ILDA Outstanding Service Recognition Award. Awarded for ￼exceptional merit in using laser display to celebrate India's heritage, and to prepare the next generation by introducing a course on laser art and animation and establishing the Manick Sorcar Laser Animation Laboratory at Jadavpur University. Manick Sorcar is a Renaissance man: an engineer, a cartoonist, a film animator, and an exhibited artist in various media including laser. 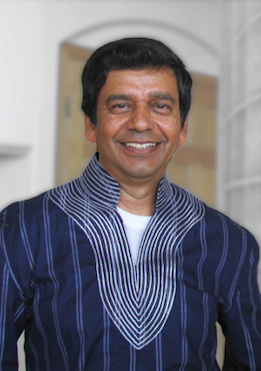 ILDA is honoring him tonight because of his work in laser display that celebrates the heritage of his native India. He has produced many documentary-type laser shows depicting Indian history. Along with his family, he has created world-touring, award-winning stage shows incorporating traditional and fusion Indian dances with life-size laser animation and visual spectacles. In addition, he supported the art form by introducing in 2011 "Laser Lighting for Art, Animation and Entertainment’ as a formal academic course at Jadavpur University in Kolkata. The university built the Manick Sorcar Laser Animation Laboratory, where Manick contributed laser equipment worth over $100,000 and teaches as a visiting lecturer. 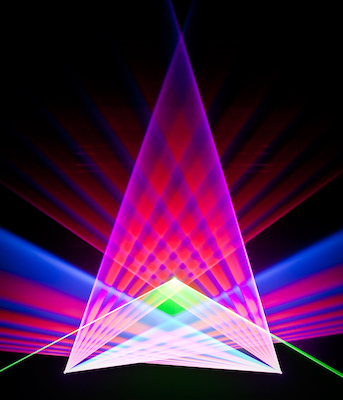 His laser works have received many awards from Indian organizations, as well as ILDA Awards including a Finalist in 2004 and First Place in 2005 (both for Live Stage Performance) and First Place in 2007 for his laser photograph Reflection, which made the cover of the 2008 Laserist magazine. 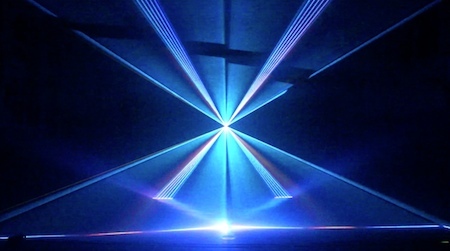 As he said in a Laserist interview, "When doing a laser show, I do not believe in confining it just to some beam shows married with popular music. I strongly believe that it is a media through which we can bring people together for good causes and communicate with people in a visual language that they are attracted to." RNDr. 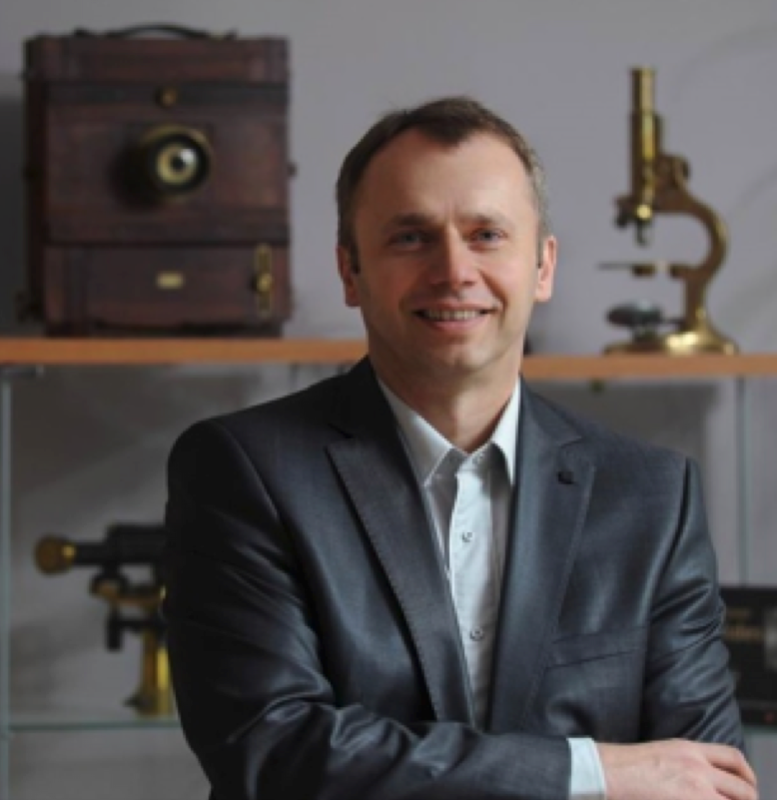 Pavol Kubošek, CSc., KVANT Ltd.
Pavol Kubošek studied physics at Comenius University in the Slovak Republic. 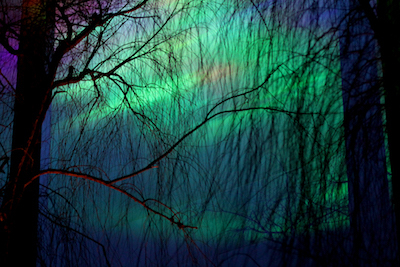 He received a Master's degree in optics and quantum mechanics, and a PhD. in 1993 with a thesis in speckle interferometry. He was a researcher in the Slovak Academy of Sciences, where he published many papers in international scientific journals. For 2013, ILDA received a record 204 artistic entries from a record 33 different Member companies. Most of these artistic entries were judged May 24-25 2013 in Germany by a three-member panel that met for two days of review and voting. New for 2013, the artistic judges rated each entry according to six factors. Four factors -- technical competency, artistic competency, quality and variety of effects, and music sync -- were used by the judges in making their final choice of winners. Two other factors, video quality and audio quality, were also evaluated to help entrants improve their entries (and video marketing materials). Entrants were emailed with their individual results. This let them see how well they did in comparison with other entries in their categories and in the Awards. • The Judges' Rating Spreadsheet lists all of the entries, and the ratings they received from the judges. (For this public version, the show names and entrant names have been removed.) The most important column is the Average Rating Score. This has been color coded, so that green means an entry received an above-average rating, yellow indicates an average rating, and red & orange indicate below-average ratings. The Average Rating Score is used to help determine the 1st, 2nd, 3rd and (sometimes) Hon. Mention winners.